On today’s podcast, I welcome back hedge fund veteran Mike Alkin to talk about this incredible bull market… some concerns that could derail it… and why Tesla could pull back considerably over the next three to six months. You may know Mike as editor of Moneyflow Trader here at Curzio Research and host of the fantastic Monday podcast, Talking Stocks Over a Beer. But Mike’s also a forensic accountant. His reasons for shorting Tesla go beyond what you’ll read in mainstream media… making this interview a must-listen. In my educational segment [1:00:35], I talk about a country that’s on my radar for the first time in over 10 years. It’s dirt cheap and starting to see huge growth—evident in an important economic indicator, which I’ll explain today—along with how to make money from it. Note: What’s going on between the U.S. and China is one of the most important stories in the world right now—especially for investors. Next week, you’re invited to take part in a free event covering the ins and outs of what’s going on… the effects it will likely have on the markets… and exactly how you should be positioning yourself to reap the rewards. On today’s show, I mentioned a special report I put together to get you started. It sets the story straight on tariffs… and gives you a leg up on everyone else. 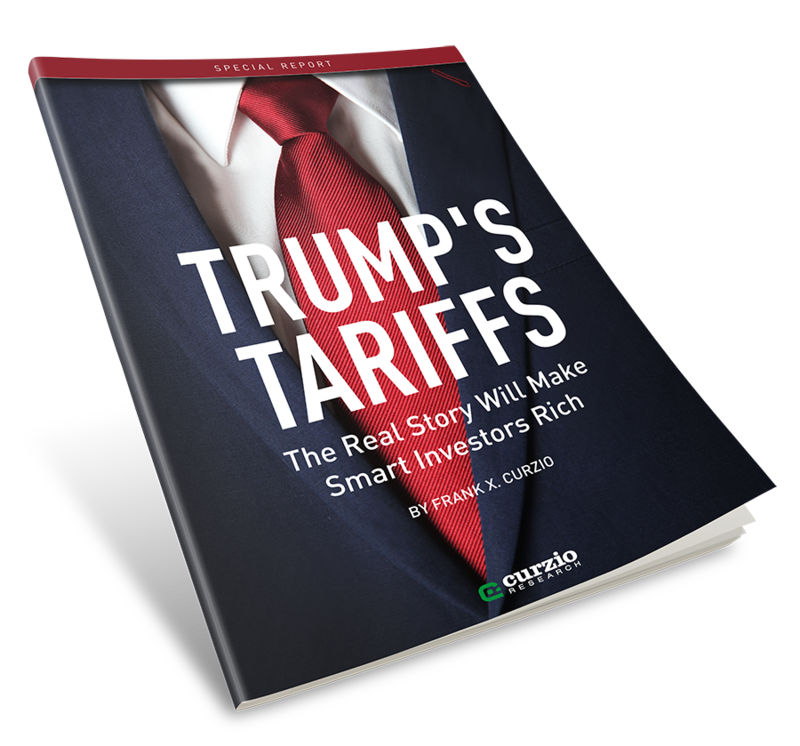 To claim your free copy, go to our homepage and sign up for my free Trade War Event.